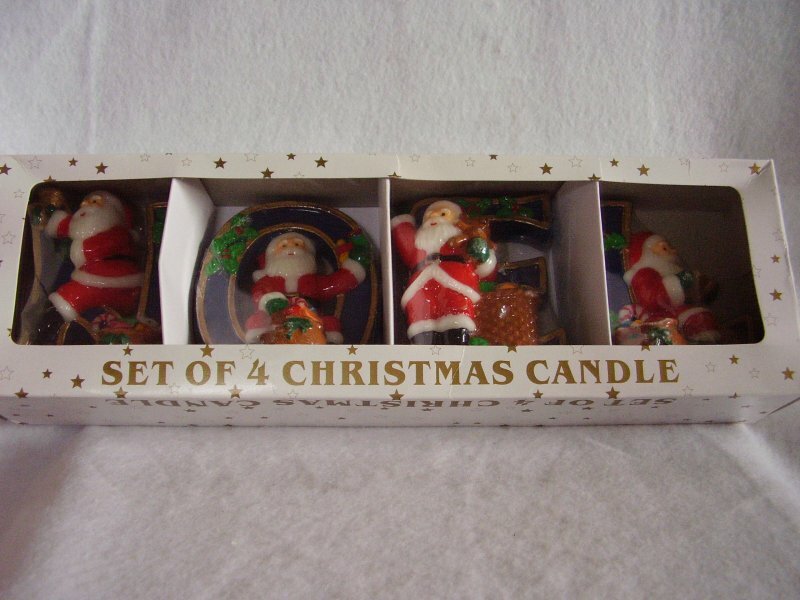 Christmas NOEL candle set. This set of 4 individual candles spells out the word NOEL. Each candle is a dark blue with gold trim and decorated with green holly. 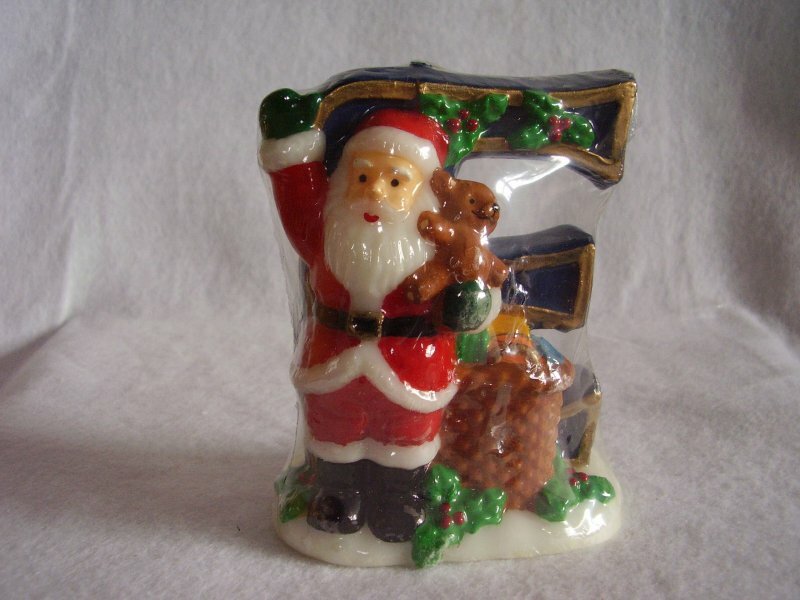 Each features jolly Santa figure with a bag of Christmas toys. 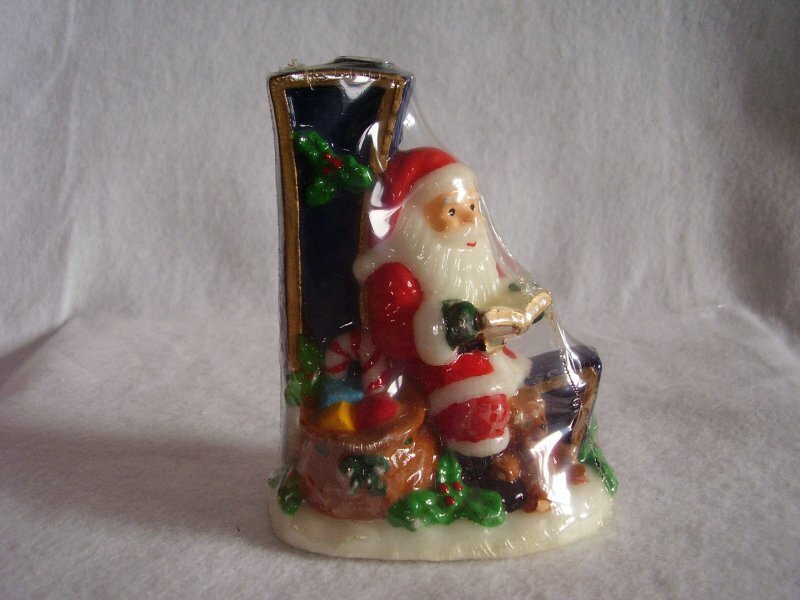 Candles have never been burned and are still in individual shrink wrapped plastic. 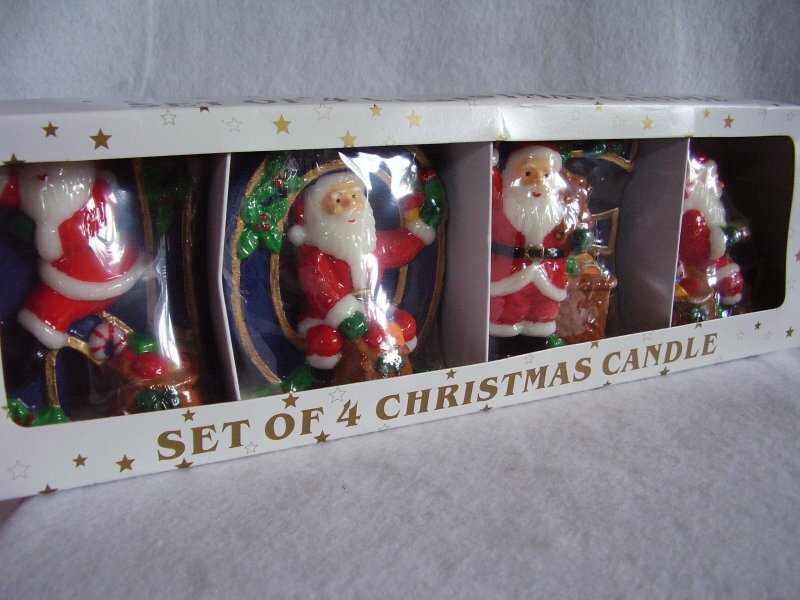 Christmas NOEL candle set. 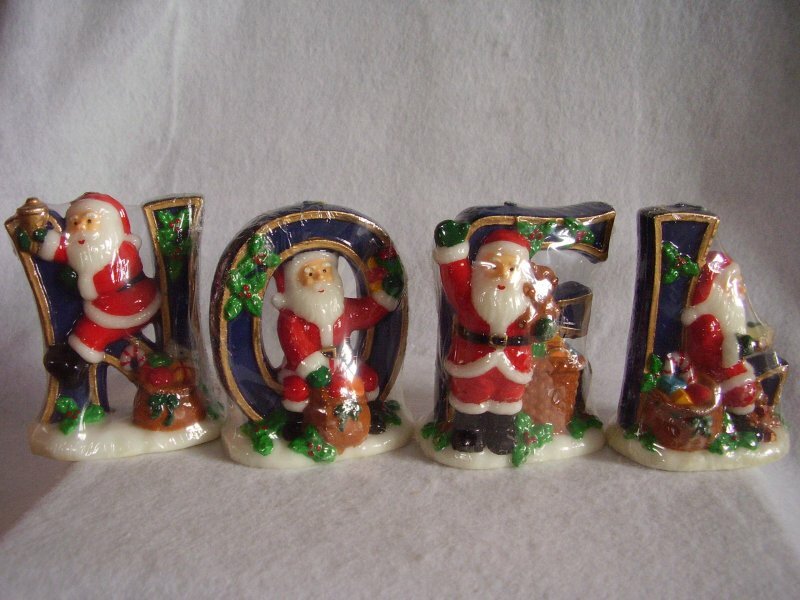 This set of 4 individual candles spells out the word NOEL. Each candle is a dark blue with gold trim and decorated with green holly. 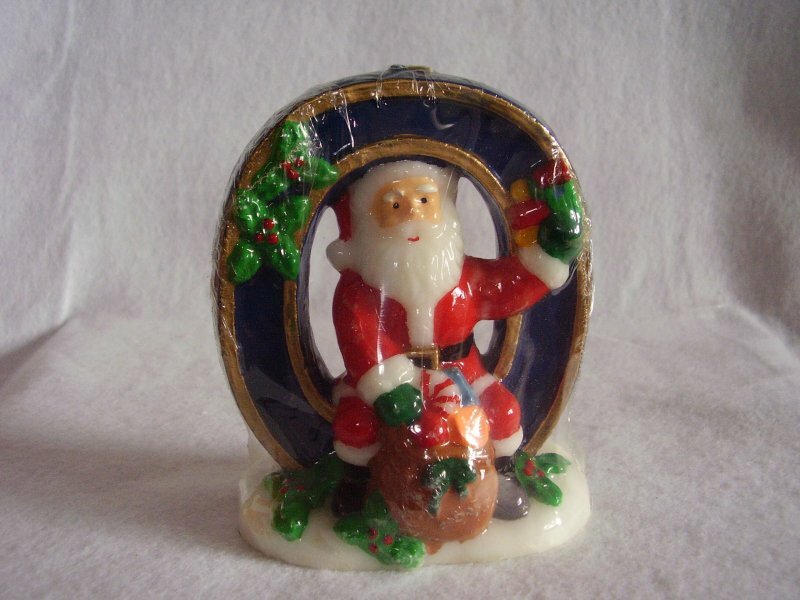 Each features jolly Santa figure with a bag of Christmas toys. Candles have never been burned and are still in individual shrink wrapped plastic. They come with the original box. Manufacturer is unknown. Each candle measures 5 inches tall x 4 inches wide. 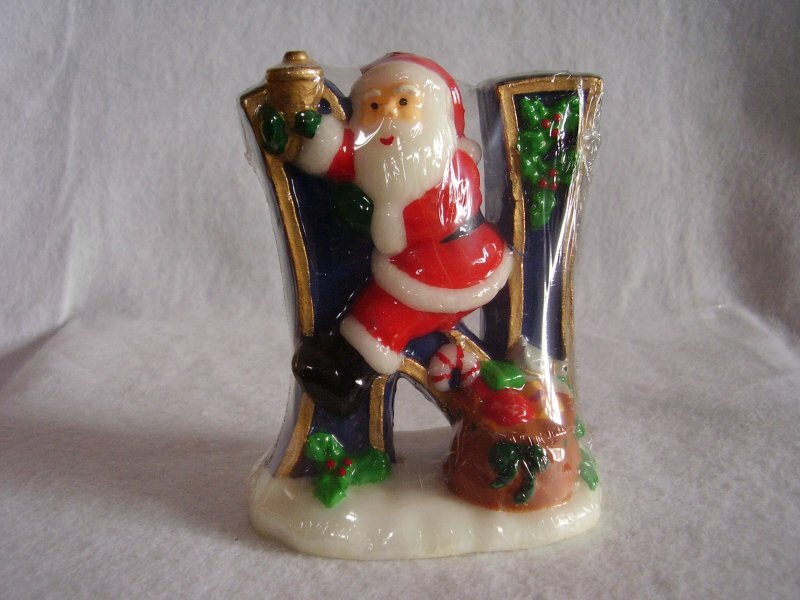 Perfect for tabletop or mantles.